By now you know because of my past restaurant experience, I am quite accustomed to my specialty coffee beverages. Because I hate spending such a ridiculous amount of money on something I can make on my own, I create the drinks at home. I consider myself to be quite savvy in this department and am constantly on the lookout for the best tasting coffees. Not too long ago I discovered a brand of K-cups at my local Menards which have made making gourmet beverages at home seem simple for anyone to do. Brooklyn Bean Roastery has always provided my family with great tasting and unique coffee flavors. And since the first time we tried their coffees, they've been our go to brand. Because we've been dying to try the Brooklyn Bean Red Velvet Flavored Coffee, we decided to finally give it a try. 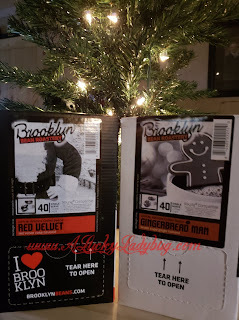 With it being the holiday season, what better of a time to try the Brooklyn Beans Gingerbread Man Coffee as well?! 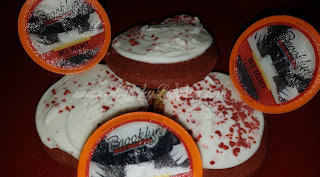 Red Velvet happens to be a flavor our whole family is pretty obsessed with so why not drink your favorite dessert. Even though Kevin doesn't prefer flavored coffee, this was one he enjoyed. 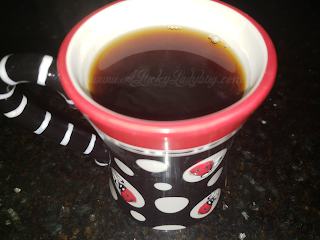 The Gingerbread is a "medium bodied coffee" that is "spicy, sweet, bold, and decadent". 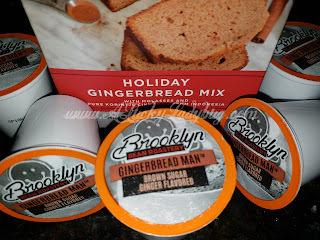 The combination between brown sugar, ginger, and coffee warms me regardless of how chilly it's getting outside and puts me in the mood for all our holiday parties. The flavor is nice and subtle. I think everyone in my household enjoyed this one especially with a fresh batch of cookies. These have been a party hit already and we haven't even started the holiday gatherings! For all my coffee lovers out there, I suggest stocking up on one of these limited edition flavors while you can. Giveaway: Brooklyn Bean Roastery is going to give TWO of A Lucky Ladybug's lucky readers the 40 ct Pack of their flavor choice to have of their own!